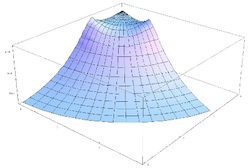 "Métriques à courbure scalaire constante en géométrie Kählérienne et Sasakienne"
The Yau-Tian-Donaldson conjecture restricted to a particular case has been proved in 2012 : the existence of Kahler-Einstein/Sasaki-Einstein metrics has been related to K-polystability after a breakthrough of X.X Chen, S.K. Donaldson and S. Sun. Originally the Y-T-D conjecture was sketched by the Fields medallist S-T. Yau, and refined later by G. Tian and the Fields medallist S.K. Donaldson. how to define the right notion of algebraic stability to obtain the correspondence ? how to check the stability in practice ? what about the degenerations of metrics in relation with algebraic deformations ? what is happening in the case of toric geometry ? Can we find explicit ansatz ? relationship with mathematical physics etc. ​Young researchers and members of underrepresented groups will be financially helped as much as possible.